HomeAll EventsEventsCodeRage XII - Register Now! 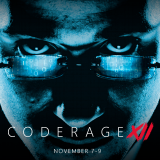 CodeRage XII - Register Now! Less than two weeks left until Code Rage XII! 3 Days, 12 hours each: Deep Dive Sessions, Tips & Tricks, and Content you don't want to miss. Our favorite online developer conference returns with deep dive sessions on more platforms, more technology, and great guest presenters.